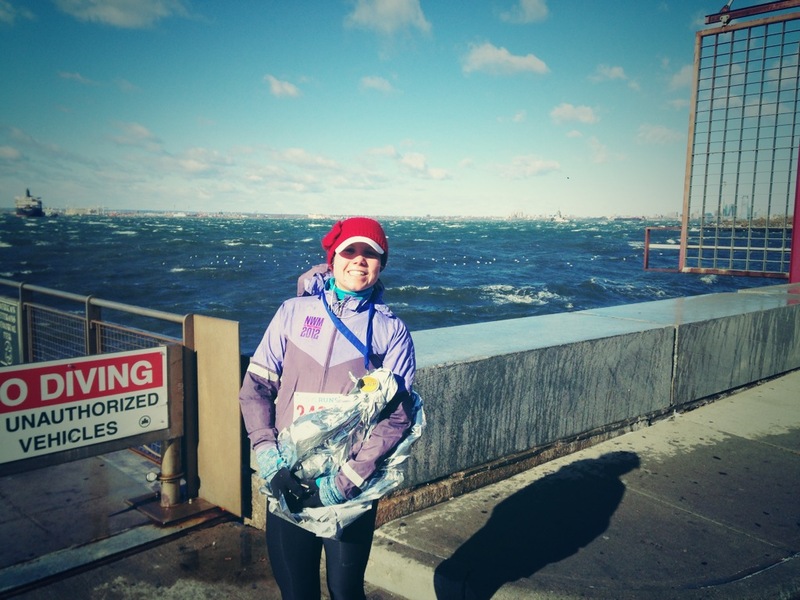 As I mentioned in Monday’s post, I finished my seventh half marathon (NY Runs Festival of Lights) this past Sunday. It was a bit of a doozy, mostly because the weather dropped from 50F (Friday) to 20F (Sunday) and was accompanied by 20-40 mph winds. I’ve been waiting to see what the whole winter thing is about, so I guess there’s no better way to get introduced than to go running in it. I’m sure you are familiar with race-preparation and so of course I’d have to start off my eats with Saturday night’s dinner. When I ran in high school, we would have team pasta dinners before every race. We’d rotate to different houses throughout the season and would gorge ourselves on lasagna, garlic bread, and fruit salad. Needless to say I was not interested in any sort of Italian food for the next few years. These days I don’t have a “pre-race” routine or specific meal. 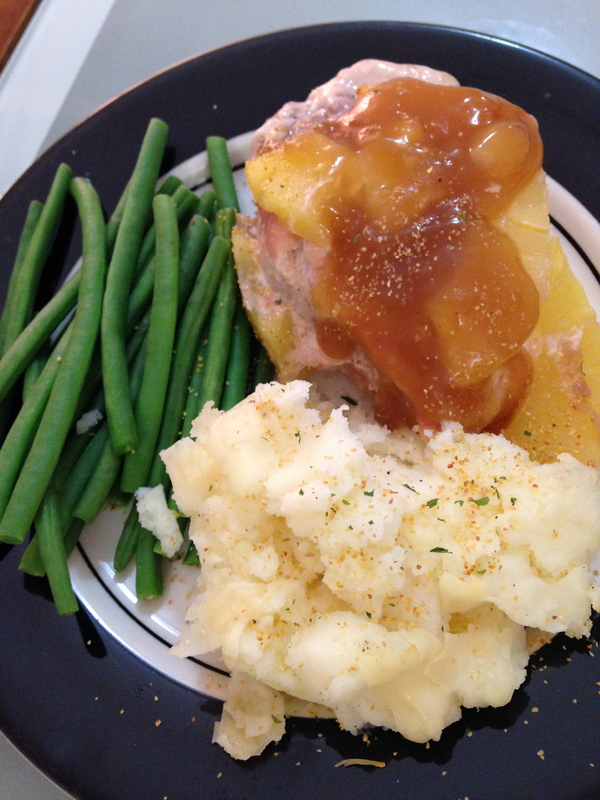 So, when my roommate Hope whipped up this homemade meal of pork chops and mashed potatoes with apple pie, how could I resist? Dinner was followed by tea and television (or Hulu). What can I say? I’m a social butterfly. 😉 Fast-forward to the next morning and even though my race wasn’t until 10:30 (practically unheard of), I was still wide awake around 7:30. 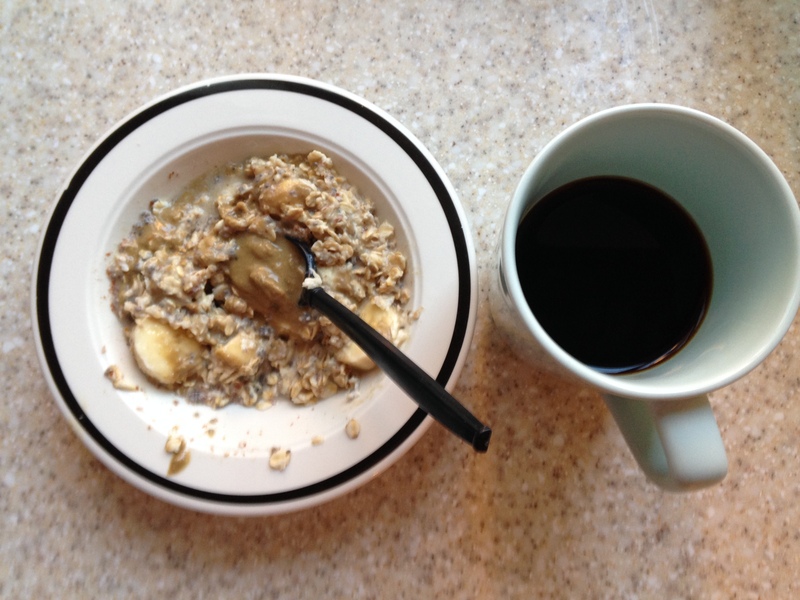 So, I decided to force down some oatmeal, sunflower seed butter, 1/2 a banana and cup of coffee. Oatmeal was actually a pre-race (or everyday) routine during my senior year of high school/xc/track, so that was a no-brainer. 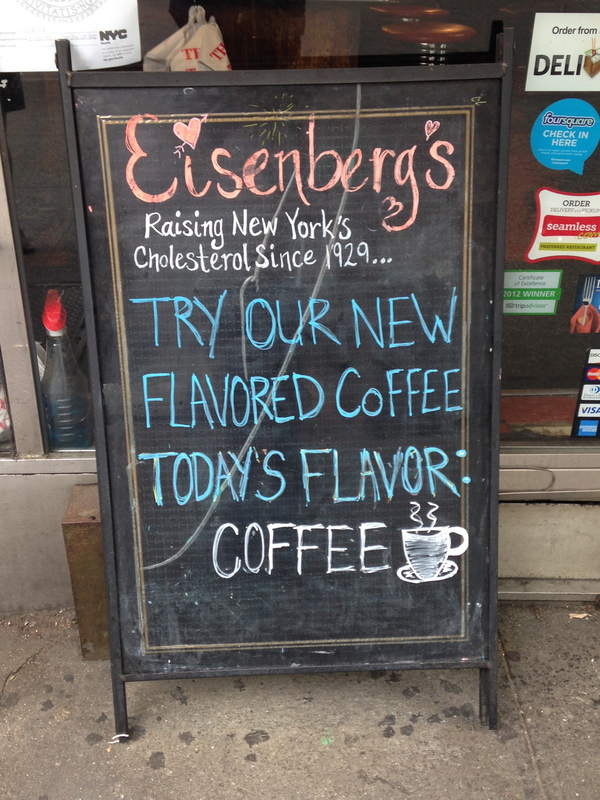 Why good morning New York. Doesn’t this look inviting? What’s funny is that I ran on Saturday in a t-shirt and shorts and was just fine. That would NOT be happening today. It took me about 45 minutes to an hour to get to the actual race start. 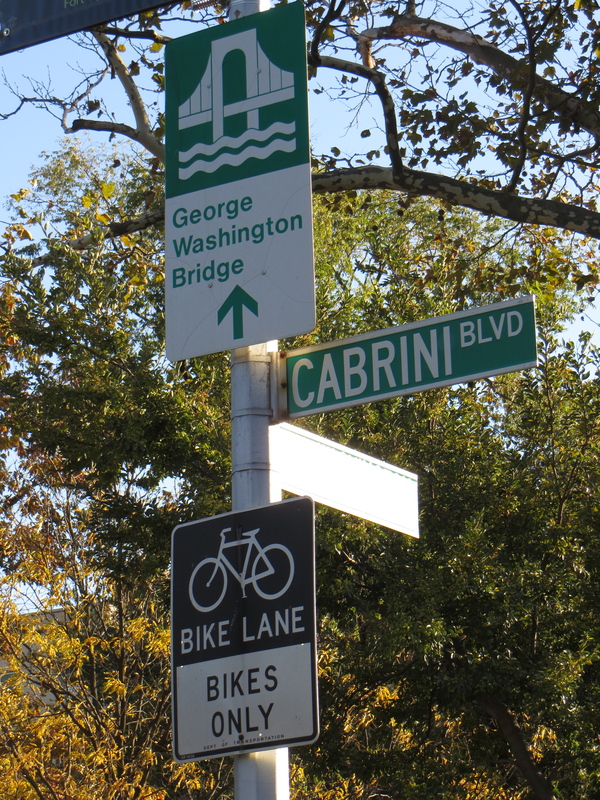 When I signed up for the race, I thought “Brooklyn” meant just across the Hudson. False. Anyways, I set out into the cold air bundled up in layers upon layers of clothing. Oh, I definitely had a few moments where I thought about turning around and going back to the apartment, especially when I arrived at the race site and everyone was freezing, uttering some choice words 😉 and the wind was whipping around us. However, I know myself and I would have felt extremely guilty and probably would have regretted quitting. I knew I wanted to prove a point to myself, that I could do it, and I had already told a bunch of people I would run anyways. Gear: Nike pants (sans thermal layer…might need to invest in those), normal socks, Under Armour running turtleneck, Nike 3/4 zip thermal shirt, Nike windbreaker, hat, running ear warmers by Target, and knitted ear warmer by my grandma Nance. I think my toes were the most cold right before we started. I honestly couldn’t feel the bottom of my foot and was worried I might roll my ankle because there was no stability. Waiting for the race to start was THE WORST. Water was jumping the wall and you could see it spraying the path that we were supposed to run on. My hands were numb, despite the gloves and three layers I had wrapped around them. I plugged in my iPod and just treated it as a nice long run. To be honest, I was drop-dead nervous all of Saturday. I would usually get some race-anxiety in high school, just because I didn’t want to disappoint anyone. Sometimes I get these bad dreams of falling, quitting, or just finishing last. My sister reminded me to “run relaxed” and showed me how she writes that phrase on her hand when she races. 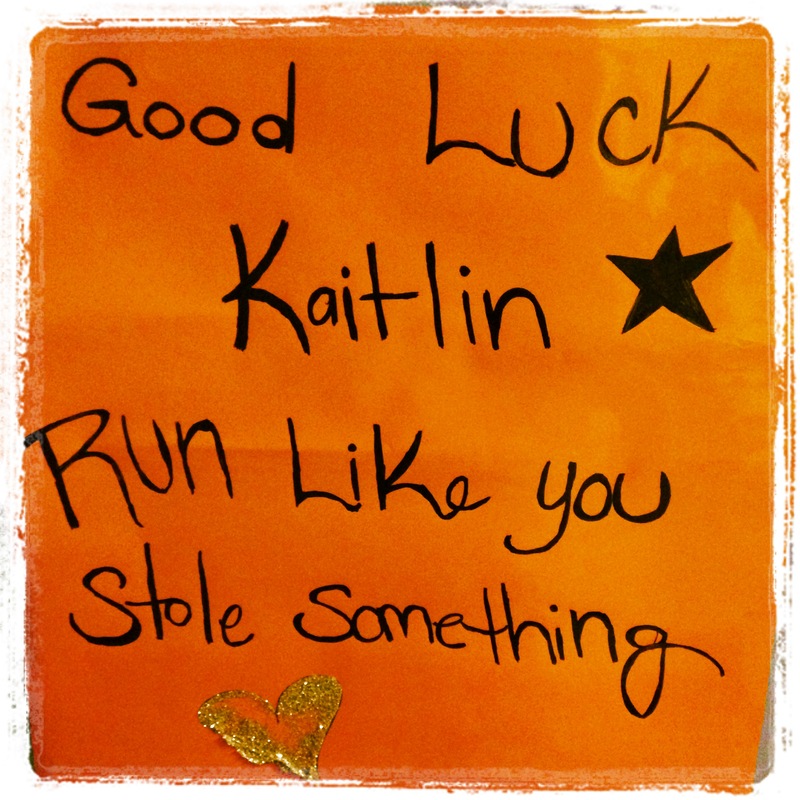 Funny thing is that I wrote it on my hand on Saturday night, it ended up on my face Sunday morning, and I never even saw my hands during the run, but I guess it helped. Overall I managed to push through most of the race with my calves cramping only a few times. I was extremely thankful my iPod didn’t die and that I had a decent playlist because focusing on the music and only the music took my mind off every negative thought I might have had. I’ve learned that I may not be the fastest runner, but I am usually good at running hills and finishing races on a strong foot. This course didn’t really have any hills, but I did manage to finish strong, encourage a few people to push through the pain with me, and ultimately pass 6 or so people. Post-Race: My fingers were once again frozen, so I chugged a cup of hot chocolate/coffee, which did the trick. 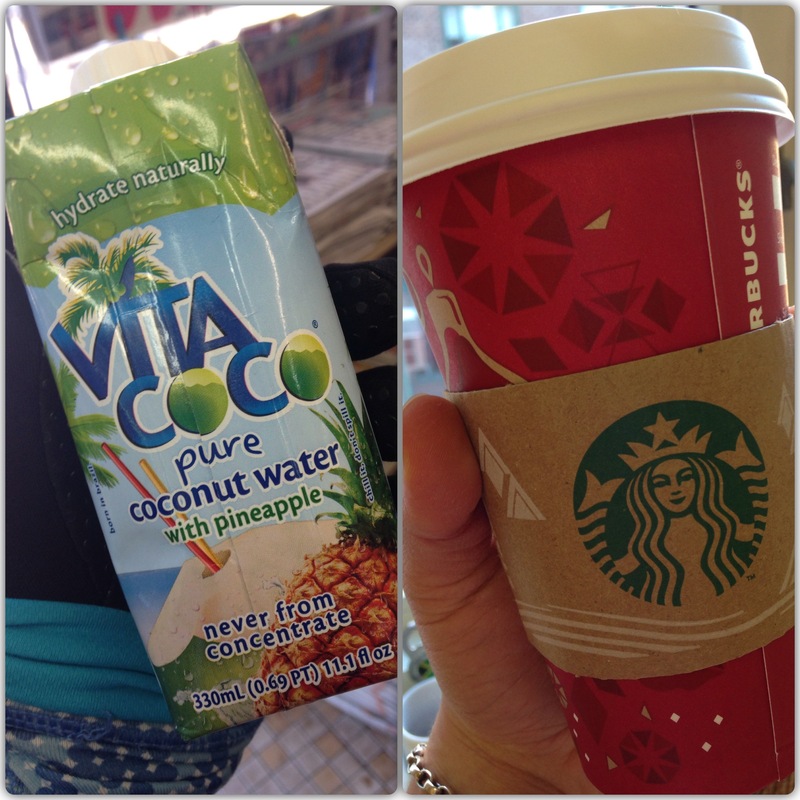 Picked up some coconut water before getting on the metro (hopefully to loosen up my cramping muscles) and purchased a Skinny Peppermint Mocha before crashing at my apartment. Originally I thought I would have a big ‘ol brunch. Well, by the time I made it back I was in no mood to go out or even cook an elaborate meal. 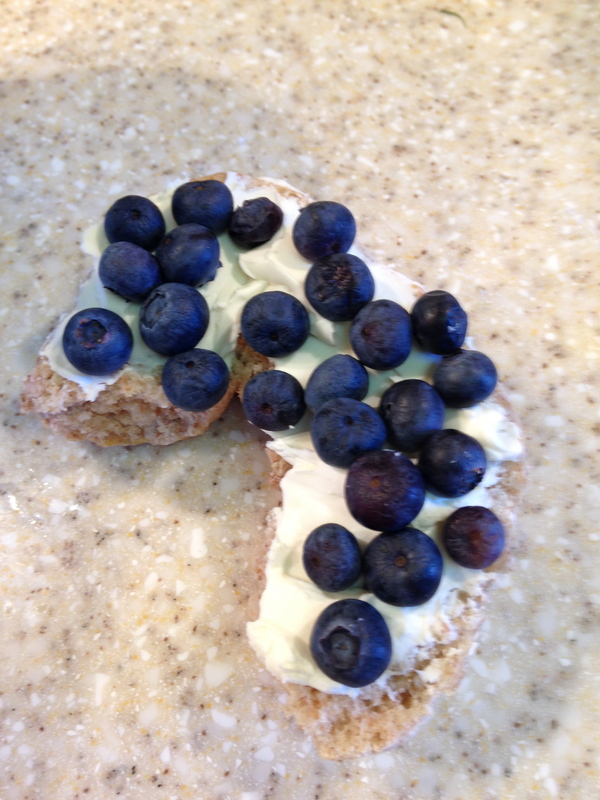 So, I settled down to one of the bagels I snagged from the race finish and smothered it in Neufchâtel cheese, blueberries, sunflower seed buter, and 1/2 banana. Originally I thought I had finished around 2:04. Not really sure where this time came from since I ran sans watch. Three layers over my wrist + my gloves prevented me from using any type of watch. I actually liked racing without a watch because I focused less on the time and more on how my body was feeling and the pace of my music. I tried to do the math a few times but that didn’t work out. Well, according to the quick follow-up email by NY Runs, I finished in 1:51:12 for an overall finish of 44th and age group finish (20-29) of 4th! 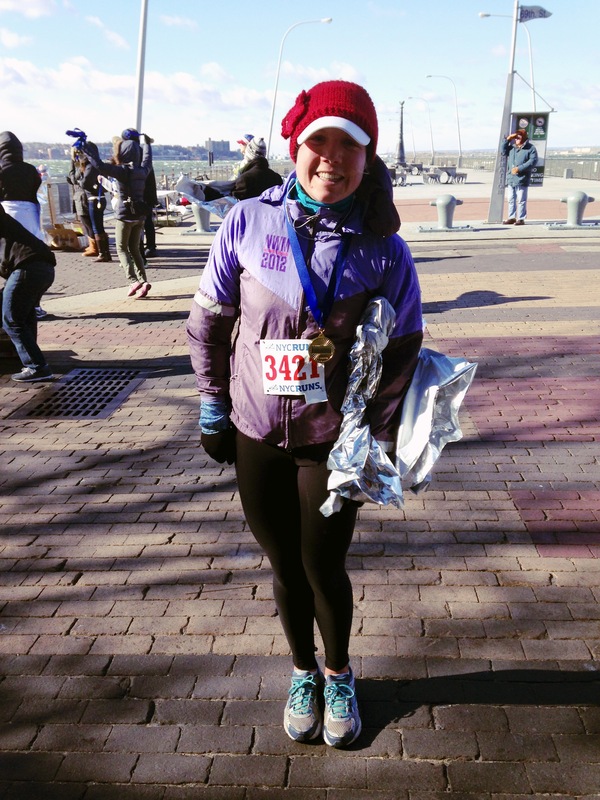 I was beyond stoked when I read that email because for the type of training program I came up with (or lacked…whatever), this past week’s activities, and that brutal wind, it was quite a personal accomplishment. 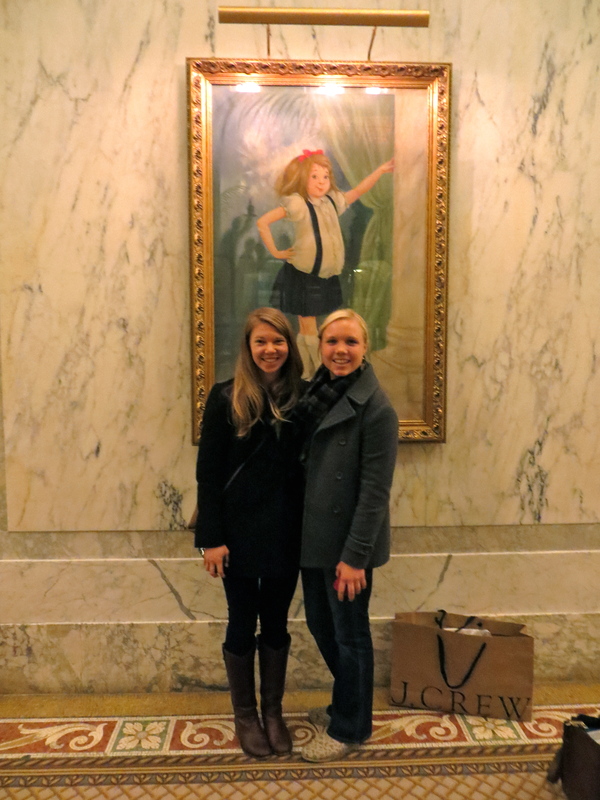 To finish off the night, I met up with a good college friend who happened to be in the city on business. She happened to be staying in the Flatiron area so of course I had to take her to Eataly. 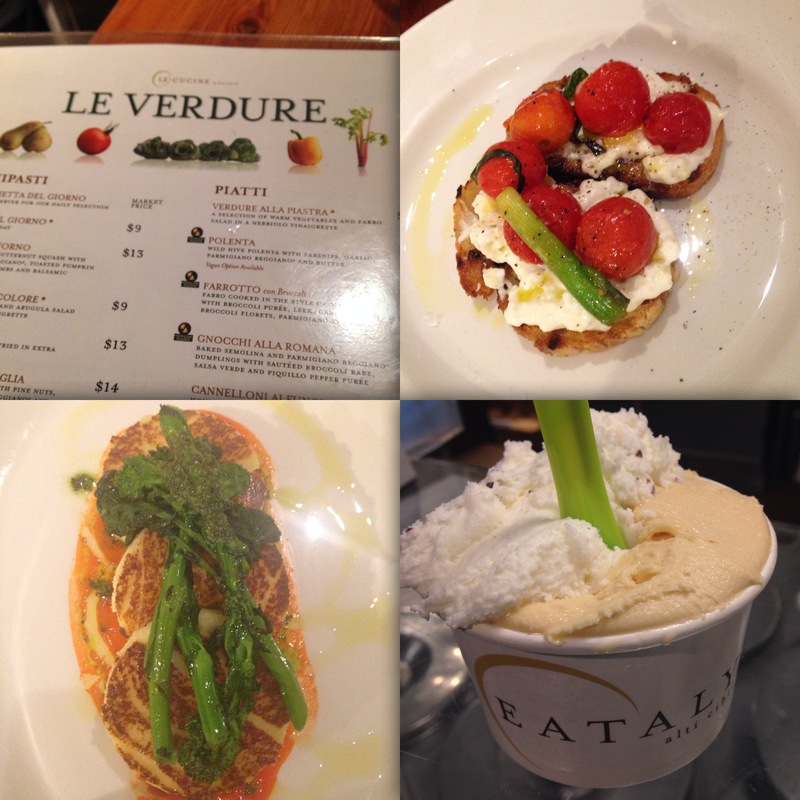 Confession – I’d actually never eaten at Eataly but wandered the aisles countless times. Turns out there are a number of small sections where you can choose to eat – fish, veggie, pasta, meat based, etc. We sat down and dove into conversation as if no time had passed. I loved how our conversations have always been straight-up honest and cover pretty much each and every topic you could imagine. The spread included probably the BEST bruschetta I’ve ever had (had to do with the cheese spread on top 😉 ), a new take on gnocchi w/ broccoli rabe, and completed with gelato (mint chocolate chip/salted caramel). Honest to goodness, flavorful and filling – everything I would expect to be “Italian”. 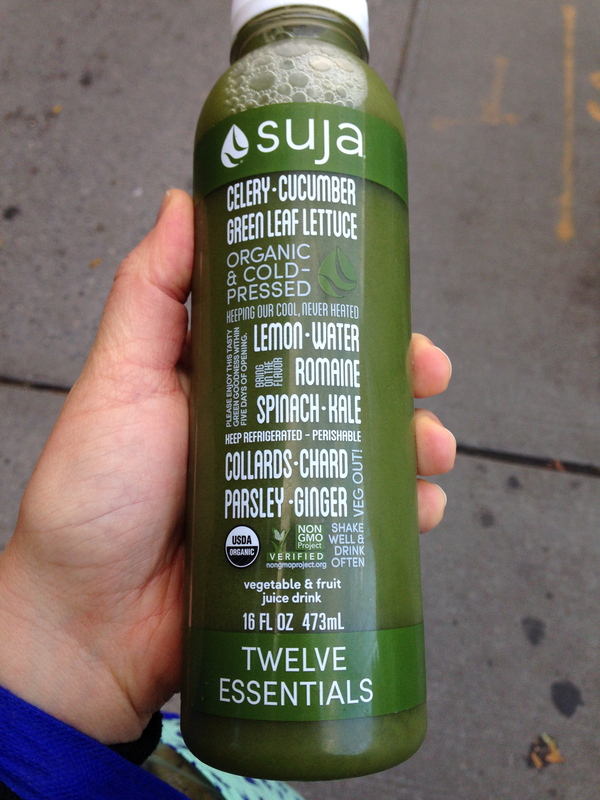 What do you eat for pre-race or post-race fuel? Starbucks arrived a few weeks ago, Santa and his elves have infiltrated the commercials, and decorations have exploded throughout every department store, especially the Container Store. No. You have no idea how excited I am for this time of year simply because of the decorations, the music, the decorations, the gift wrapping, and warm drinks. Did I mention decorations? I even found a how-to video on the Container Store’s website on how to make a pom-pom bow. It’s safe to say I’m already making a holiday season bucket list. I am the one in the family who LOVES to gift-wrap. My grandma Nance does a mean pom-pom bow and I get my precision from my dad. My family would joke that I could get a job as a dolphin trainer who braided hair and gift-wrapped on the side. That and I could be a personal organizer. Well, the last one still isn’t out of the question, but for now it’s desk-job for the win. 😉 I may need to pick up a side job during the holidays, just to feel a bit more comfortable. Although, it’s tough with scheduling holiday visits, actual work, and making friends on the side, but that’s the part of growing up, right? I guess for now I’ll play it cool and it’ll come down to how my credit card bill is looking. See, it’s important not to let the holidays overwhelm you. It’s all meant for great fun, but I agree, sometimes it become too much, especially if it starts SO early. Try to look at your favorite parts of the holidays. For me, I adore the various catalogs that are published by each store. I don’t see it as “what I want to buy”, I see it as endless options of furniture arrangement, brilliant ways people decorated their seemingly spotless home (which doesn’t happen in real life), and the potential that a blank canvas has, if you will. I try to maintain a certain level of excitement, not too much so that when it’s over, there isn’t huge depression or disappointment (although it can be quite anti-climatic), and yet just enough that I feel totally included in every song that is sung. This is already sounding a little too “Whooville” peppy but hey, it’s what makes the season, right? So, when’s the prime time to whip out the Christmas cookies? 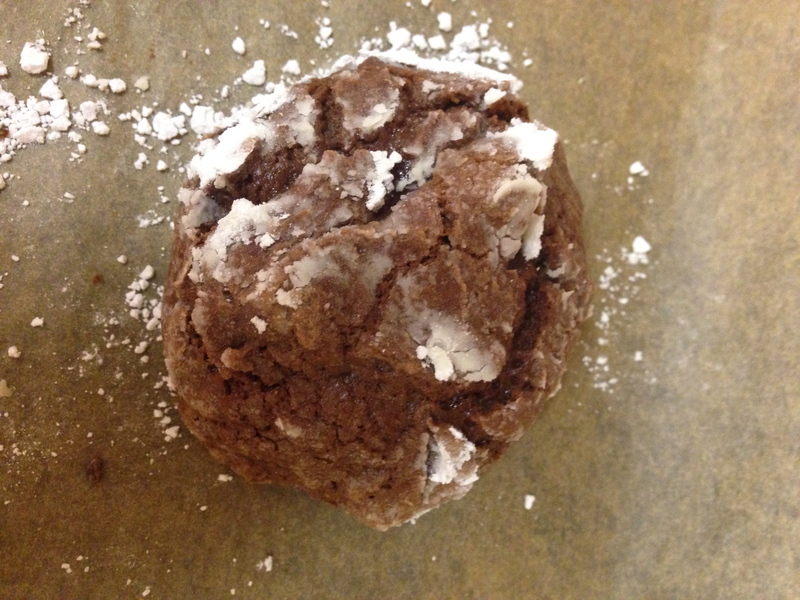 Hope and I stumbled upon some of these recipes on Pinterest and decided a chocolate crinkle cookie would fit our need for chocolate and baking desire. Per my usual routine, I scoured the internet for a few different recipes, one of which was the lovely Williams Sonoma, and cultivated one of my own. 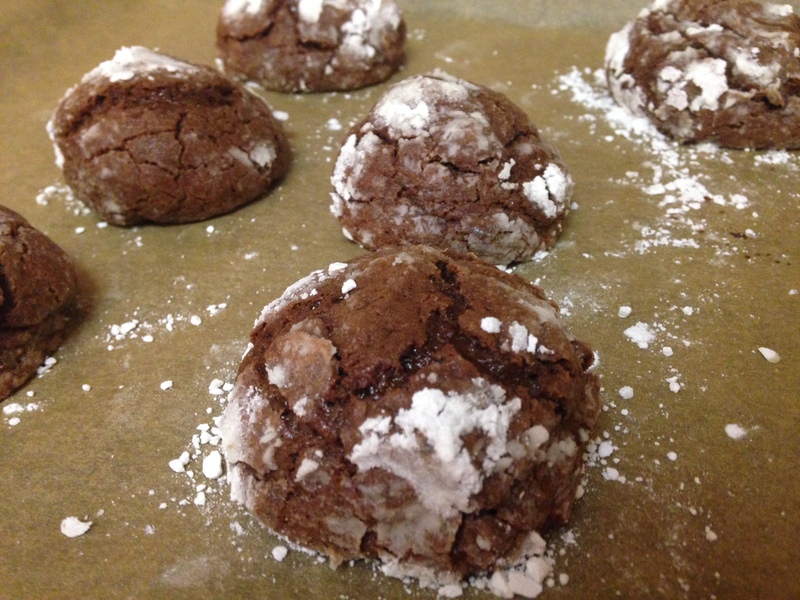 As these chocolate cookies bake, they puff up and crackle, so they are called crinkle cookies. 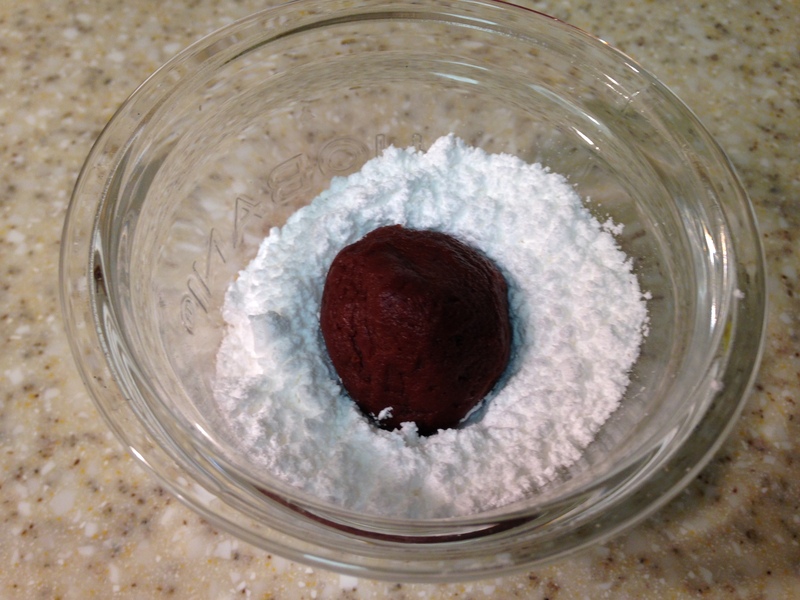 Mix flour + baking soda in a bowl and set aside. 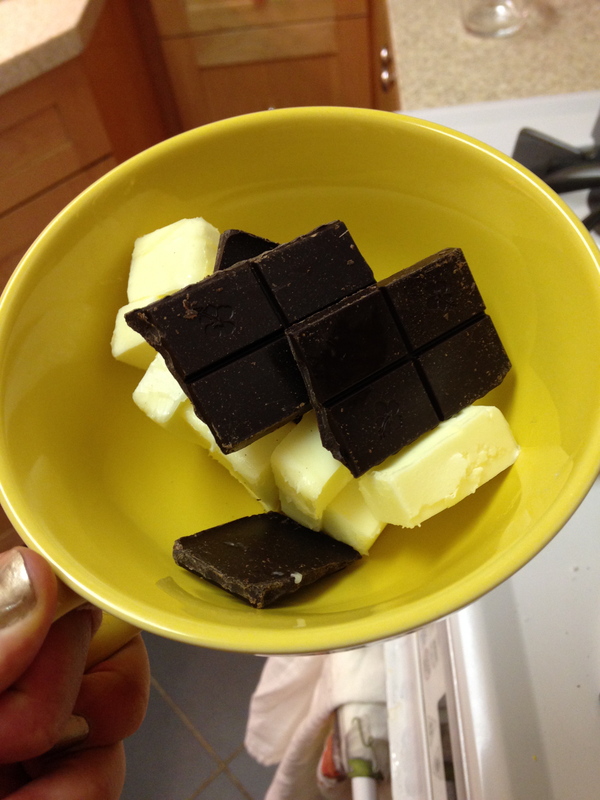 Melt the butter and add in the chopped chocolate. Stir until completely melted. 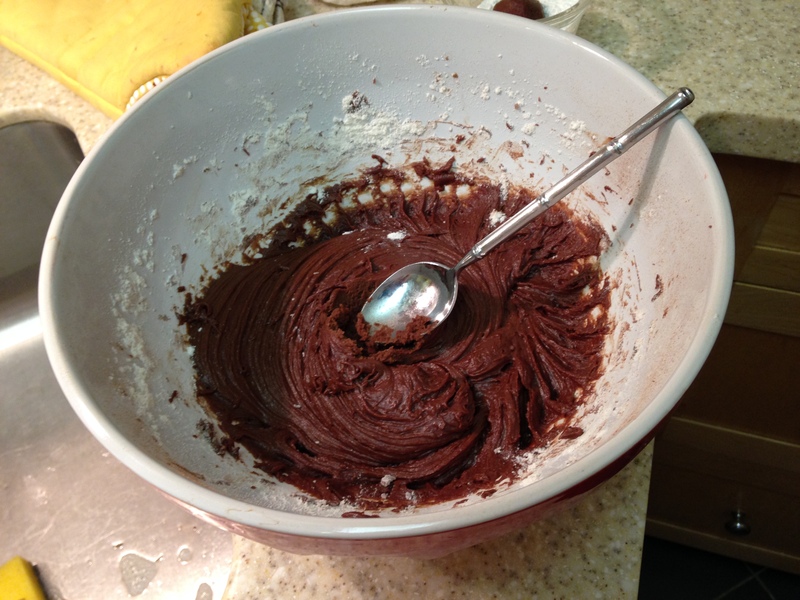 Add in eggs, vanilla, cocoa powder, and sugar. Pour in the dry mixture and beat on low until well blended. Set bowl in the fridge for ~1 hour. Put the confectioners’ sugar into a bowl and set aside. Preheat an oven to 350°F and set a piece of parchment paper on a baking sheet. Use a tablespoon and scoop out about 1″ worth dough. 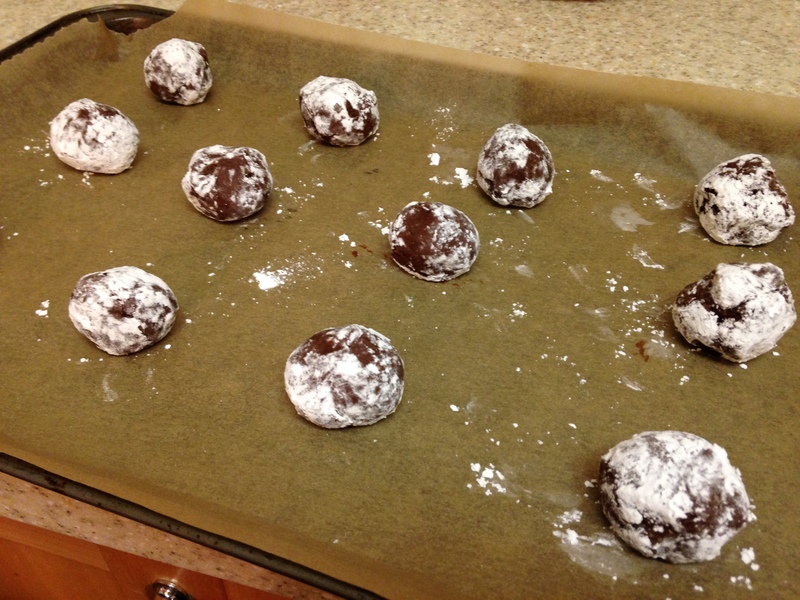 Form a ball with your hands and roll in the powdered sugar until covered. Place the dough on a sheet , spacing about 2″ apart. Bake for about 9 minutes until the tops start to crackle. Remove the cookies from the oven and allow to cool. These make for an excellent holiday or housewarming gift, or scrumptious for a cookie exchange. When do you start celebrating the holidays? Do you have a favorite seasonal cookie or treat? The weekend really never seems long enough. One minute it’s Friday afternoon and the next thing you know it’s pitch black on a Sunday night. However, we are getting closer and closer to the official holiday season! While I have been a supporter of Starbuck’s red cups and Christmas beverages, I really think that the day after Thanksgiving is the time to bring out all the bells and whistles. The Christmas market at Union Square has already opened, so I’m super pumped to check that out when I return from Thanksgiving. I’m not sure how much damage my credit card can handle at one time, so I might as well push it off as long as possible. So, while we are just four days away, let’s get a recap of what’s marvelous in the world. Marvelous is … Spending your Friday night cooking up a storm. I went over to Laura’s apartment where we proceeded to make homemade pesto, stuffed kale red peppers, AND homemade enchiladas. All recipes I pulled randomly from my Pinterest boards. How’s that for being productive and crafty? The family dog Hercules could smell what was happening in the kitchen and was bound and determined to obtain some of that ground beef. Sorry bud, don’t think that’s good for you. Marvelous is … finding a new ice cream flavor. This was also a part of my Friday night shenanigans and boy was it good. What’s funny is we went out to get ice cream before meeting up with Laura’s friends at a local bar. 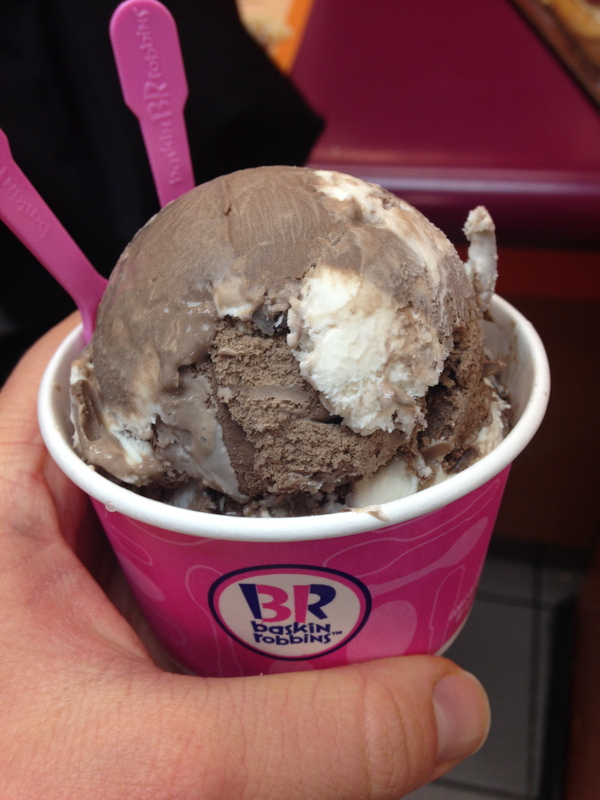 Usually ice cream comes post drinks, but really ice cream is good any time. Marvelous is … proving a point. Ok, maybe it was just a point to myself – the idea that I can handle the elements. 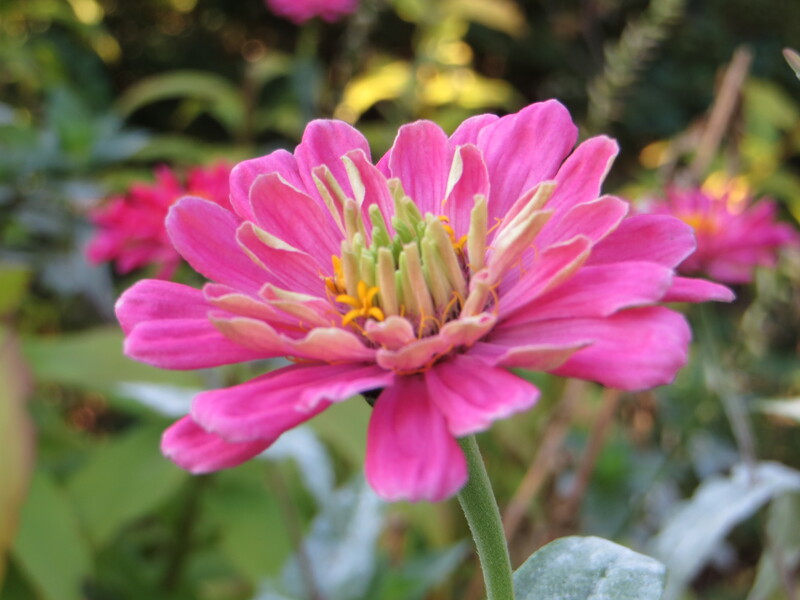 I tend to have a “I can do anything” mentality, which sometimes gets me into trouble. I’ll have a better recap on Wednesday but basically Sunday’s forecast called for winds of 20-40mph and a temperature of around 9F. 13.1 miles later … you get the picture. This week shouldn’t be too bad as I’ll be heading out for Thanksgiving on Wednesday afternoon. It will be the first year I’m not with family but am stoked about going to see our family friends in Philly. What’s strange (maybe a good thing) is that I’m not uber homesick. I was able to see my mom last week and call everyone pretty often. 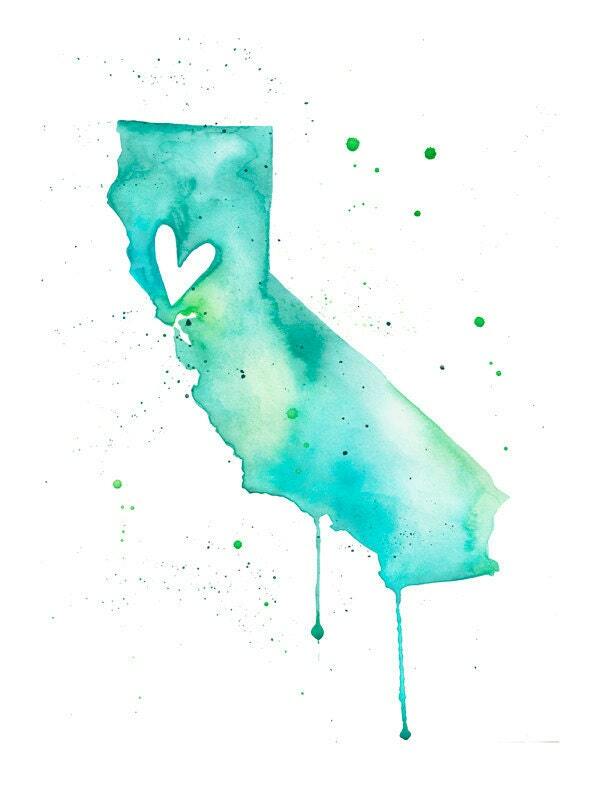 I don’t really know what I would do without the daily calls to my mom, dad, and sister, and weekly calls to my girlfriends back in California, so that obviously helps a ton. I even got to facetime two of my best friends in SF last night, which was amazing. 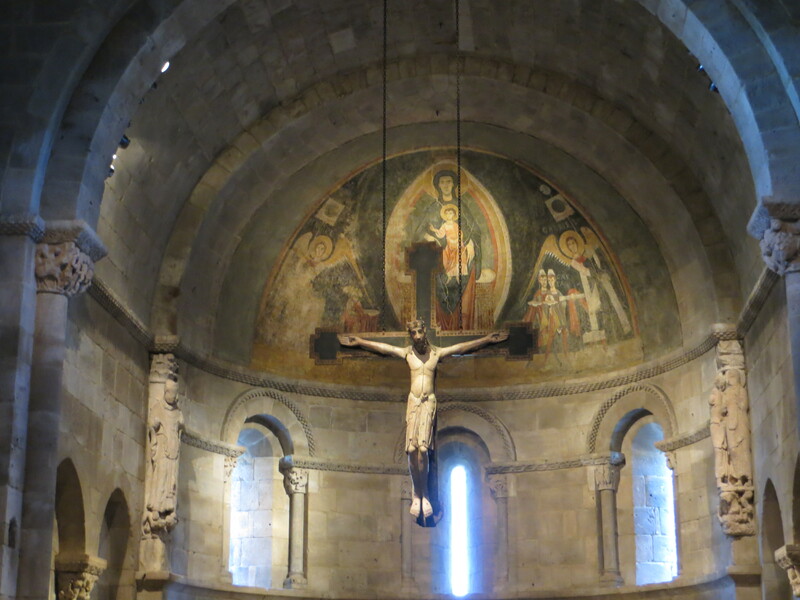 A few weeks back, I decided to take a trip up the island to visit the tip-top of Manhattan and check out the Metropolitan Museum’s extension, otherwise known as the Cloisters. 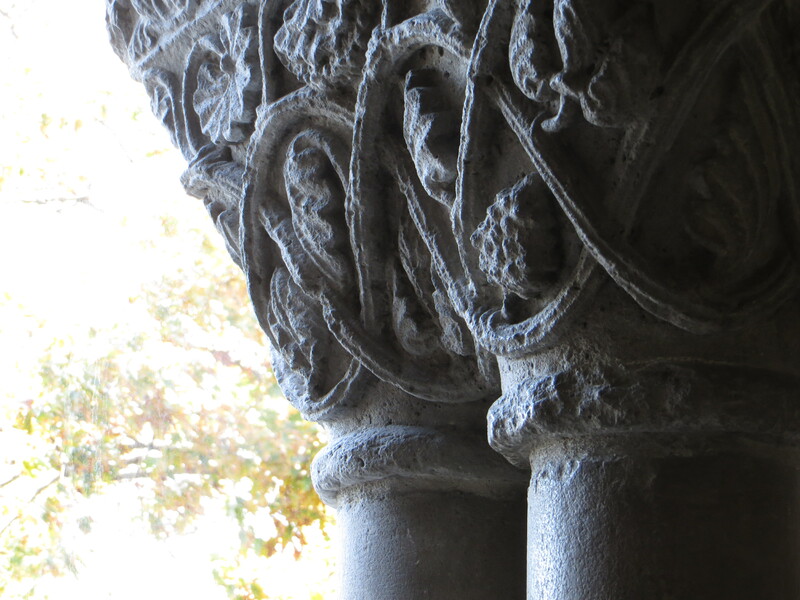 One of my college friends had told me about The Cloisters but wasn’t able to take off work that day. 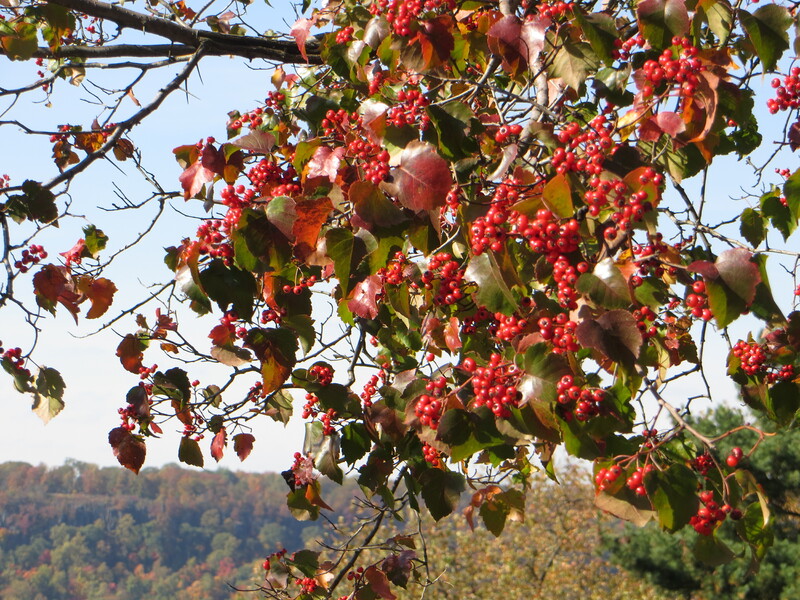 What better way to enjoy the last leaves of fall than exploring the good ‘ol outdoors? 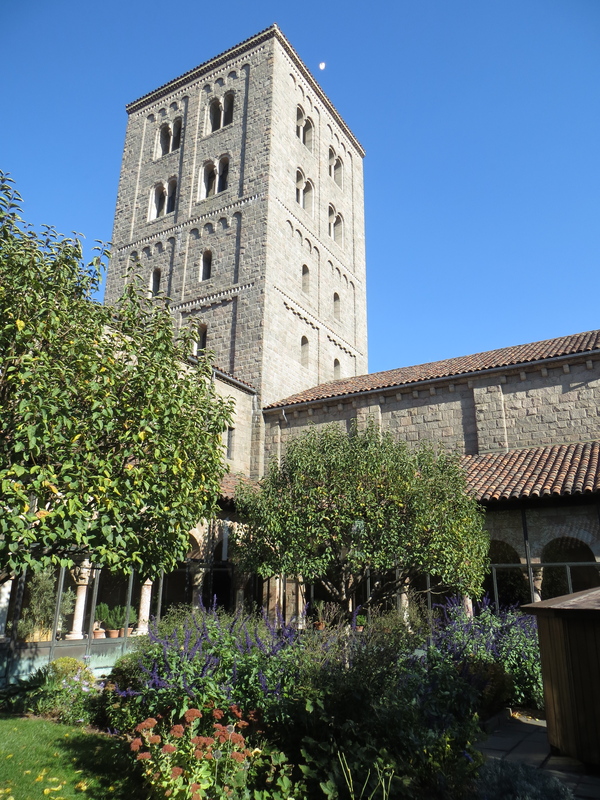 The Cloisters is actually a museum located in Fort Tryon Park up in Washington Heights, New York. 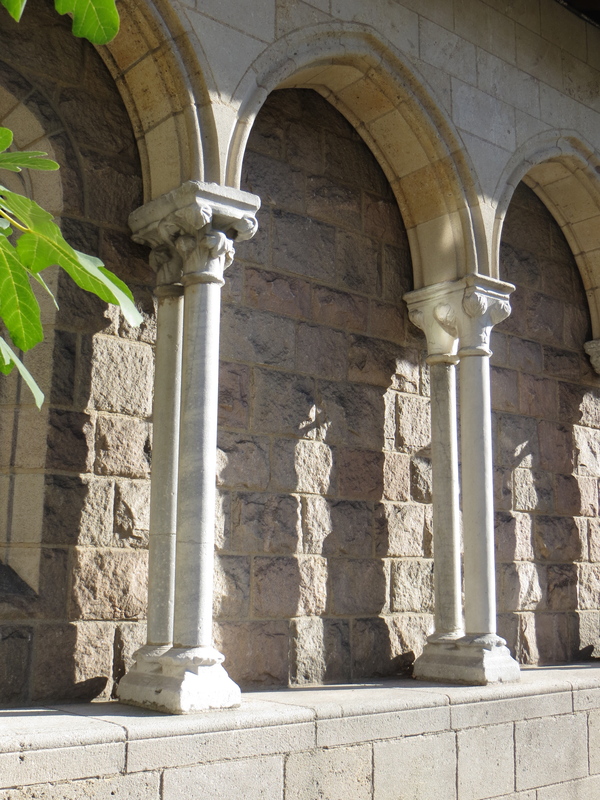 It was built in the 1930’s and incorporates many architectural elements of European medieval abbeys. 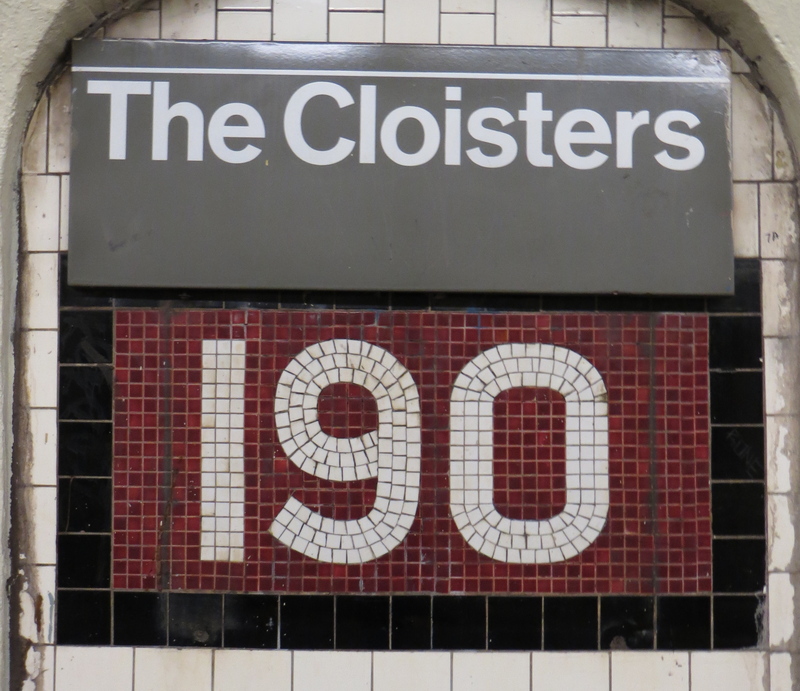 I wasn’t really sure what I was getting myself into when I took the A train up that day. When I arrived I thought it might have served as an abbey, but no, it simply is used to exhibit art and architecture from Medieval Europe. Very thematic don’t you agree? 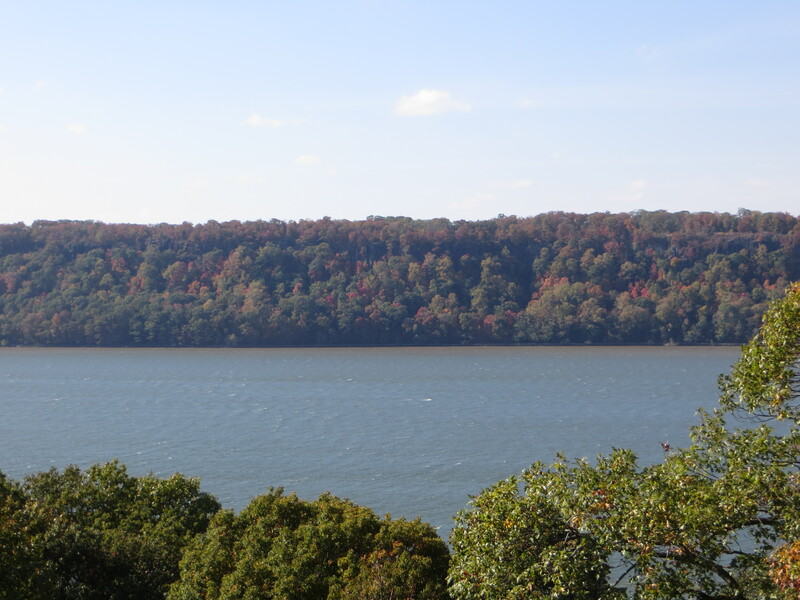 It’s found on the upper west side of Manhattan overlooking the Hudson River. 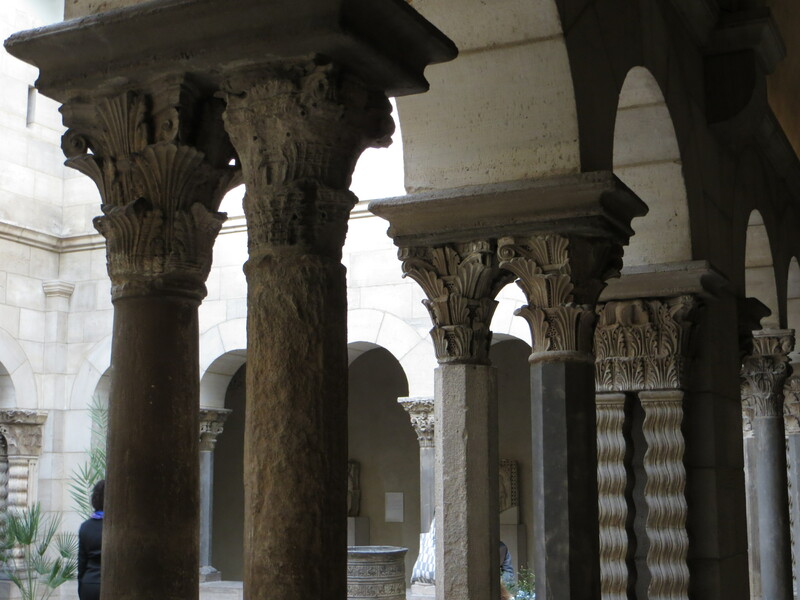 The building itself pulls architectural elements from five cloistered abbeys of Catalan, Occitan and French origins. In fact, thanks to some wikipedia research, I found that buildings at Sant Miquel de Cuixà, Sant Guilhèm dau Desèrt, Bonnefont-en-Comminges, Trie-en-Bigòrra, and Froville were all disassembled brick-by-brick before being shipped to New York. 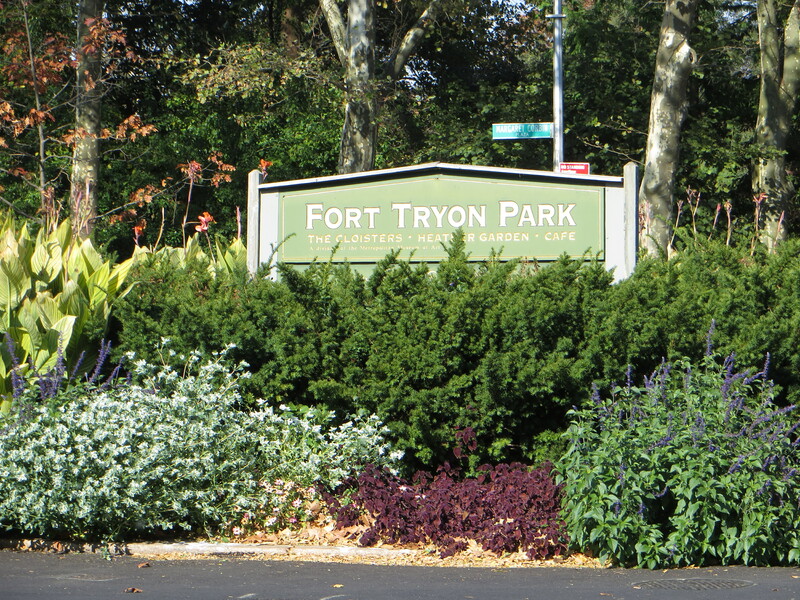 It wasn’t until 1938 that the features were finally assembled in Fort Tryon Park. Because it is an extension of the Met, there is no entrance fee, but rather a suggested donation. I felt quite sophisticated, attending a museum on a Saturday along with a majority of other tourists and older couples. 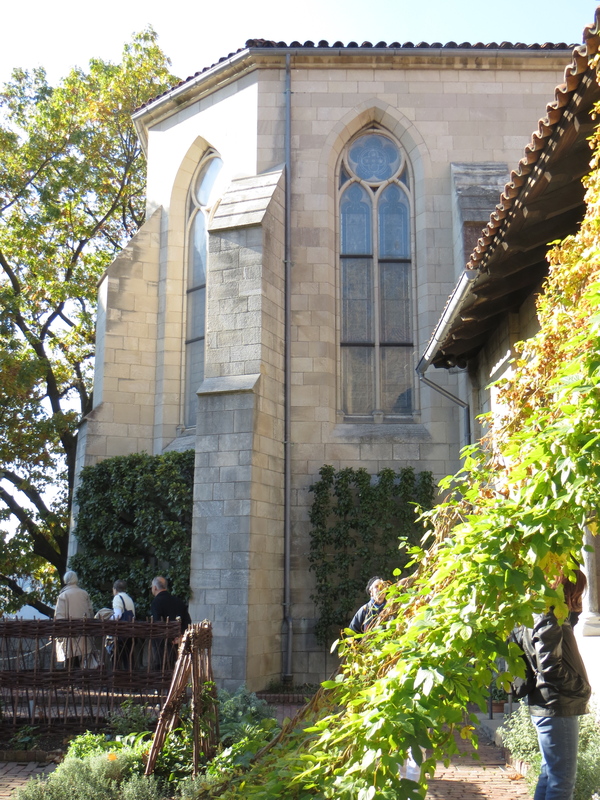 However, while the artifacts were tres interesante, I enjoyed the garden and outdoors much better. Apparently the gardens were reconstructed based on horticultural information obtained from medieval manuscripts and artifacts. 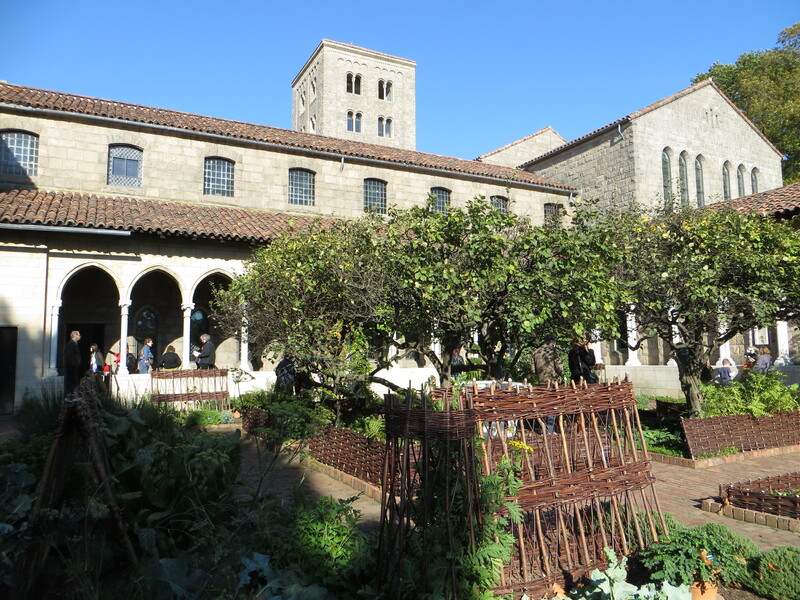 One area I found even had a medieval-style cloistered herb garden. The weekend I ended up going, the weather was beyond gorgeous. 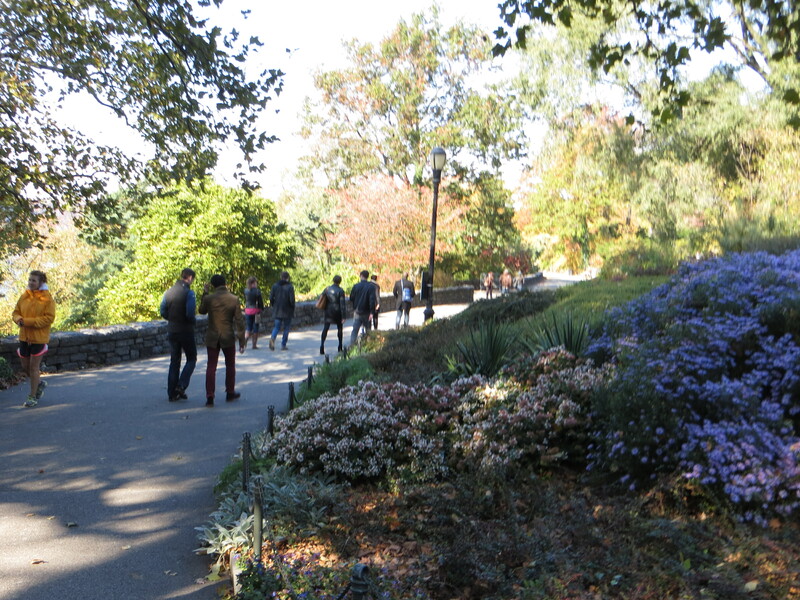 Leaves changing from a vibrant green to musty brown, cooler weather perfect for boots and a scarf, people walking together all around. I hadn’t spent much time outside of midtown, so adventuring some greener pastures, even if it was still in New York was just the break I was looking for. Now that the temperatures are dropping, I’m not sure it will have the same feeling, but I bet walking along the Hudson would still be quite picturesque. 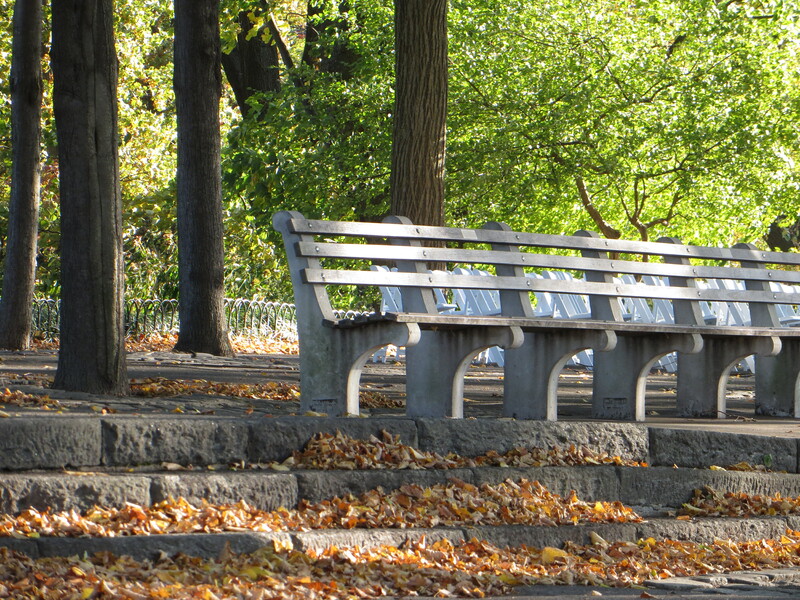 Another idea would be to pack a picnic and enjoy it under one of their many trees, hills, or benches. Yet another idea would be to take the metro up and run back along the water, with a group of people of course. 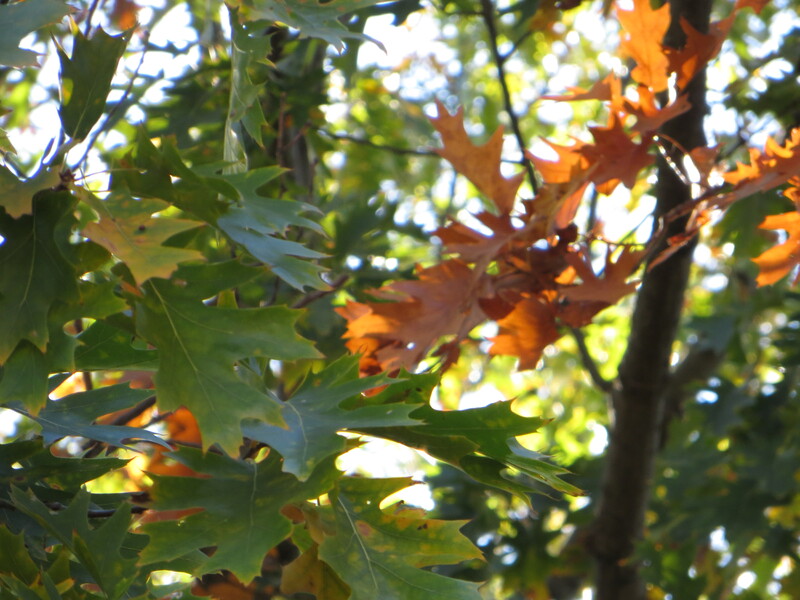 For some reason I keep thinking that it’s still the beginning of fall. Like early October when it should still be warm outside. This actually happens to me every year where I fail to realize Mother Nature changes the weather patterns every so often and this requires us to change our wardrobes. So I can’t dress in a flannel shirt and pair of jeans in 34F? Um, probably not the best idea but I’ve done it (too many times to count) already. Chances are I’ll make this rookie mistake again, but hey I’ll learn. Hopefully. For some light Friday reads, check out these wonderful articles by the Lipstick Gospel. I’m not sure how I stumbled upon this blog, most likely another blogger had linked up, but I adore her articles. It’s another one of those things where you find yourself nodding to some (or maybe all) of what she says. If asked what my favorite activity was besides exercising, blogging, baking, and eating (I know, I’m so much fun to be around), I’d probably have to say laughing. For some reason reading a Buzzfeed article or Pinterest eCard cracks me up and hey, it’s definitely not endangering my health, so why stop? Maybe if I had a good swim coach I could actually train for a triathlon properly or maybe just motivated to swim more. Most of the triathlons I competed in, I would wing my swim training. This is due to the fact I really don’t like swimming, I find it completely boring and lonely. Not to say I’m a bad swimmer, I just don’t like to practice. So, I would end up getting trampled by all the legitimate collegiate teams like CAL POLY San Luis Obispo, CAL, UCLA, Oregon, etc. Because a girl can never get enough ice cream. Even in winter. Dare I say it tastes better in winter? Possibly because it doesn’t melt as fast. And finally a link to make you feel better about yourself. Thank you Buzzfeed for the ingenious content you produce on a daily basis. Another week here another week gone. 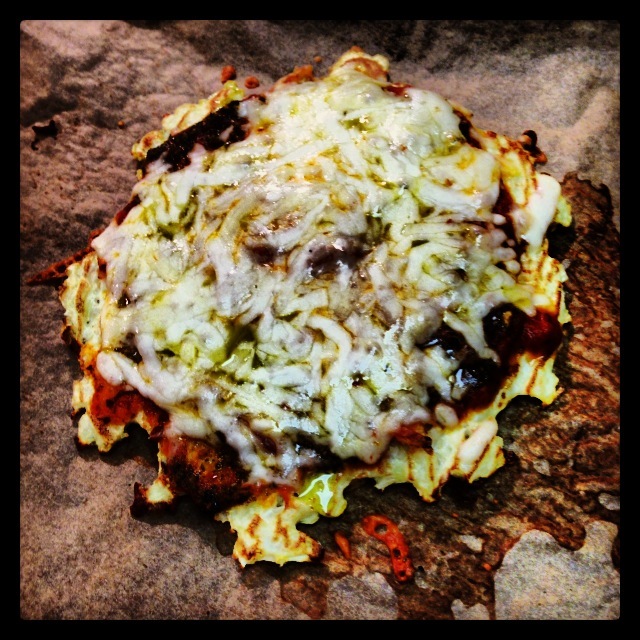 It’s time to analyze Kaitlin’s past eats in conjunction with Jenn’s lovely WIAW blogger partay. Confession. I take pictures of my eats early in the week so I can post this early on Wednesday. Sure I’d like to share my eats from today, but then I’d feel left out from the party. Let’s just say I’m often guilty of FOMO or the fear of missing out 😉 So, in the words of Al Roker, I’m taking my eats from Monday MONDAY. Sunday’s task was to prep most of the weeks’ breakfasts and lunches. 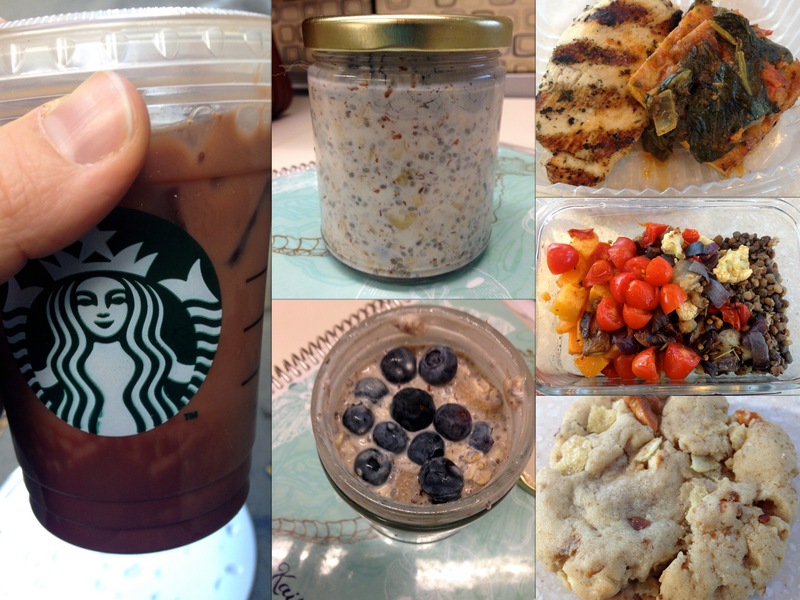 As you can see, I’ve jumped back onto the overnight oats bandwagon. Lunch: Medley of grilled veggies (cauliflower, eggplant, butternut squash), lentils, chicken, and tofu. 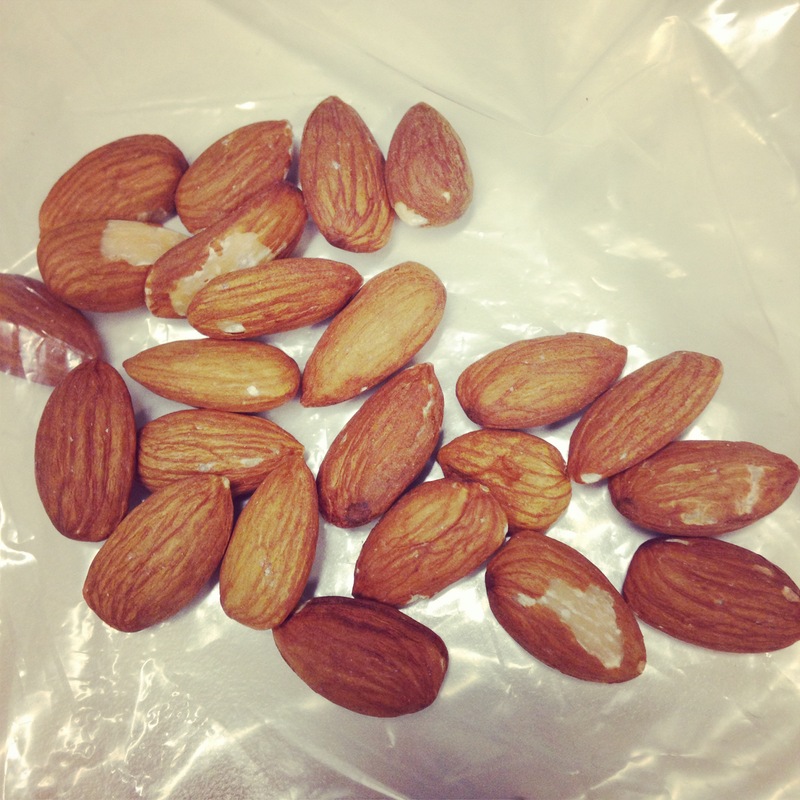 Later in the afternoon I had a handful of almonds, which might have been out of boredom. After getting off work, I headed down to midtown for a spin class at 24 Hour Fitness and then headed back home around 7:15. I really was not on the intuitive eating train today and instead fell victim to the sweet tooth. My roommate had made some of the most delicious chocolatey crinkle cookies, so I couldn’t keep my eye off of them after dinner was done. Unpictured as I inhaled one and disposed of the remaining buggers. Dinner: Well, well, well. 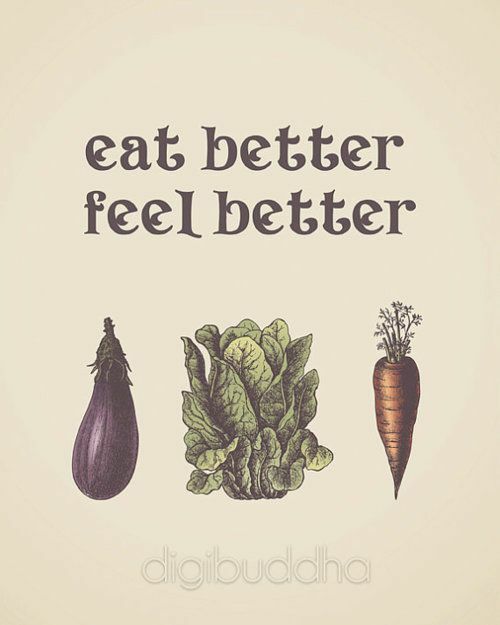 It’s actually something other than salmon, sweet potato, and grilled veggies! That’s probably because I made my favorite meal for lunch and was in the mood to actually attempt a recipe. I ended up munching on some leftover lasagna as I made this, so essentially it’s my side dish for the night. * Blend/pulse cauliflower until very fine. Add in egg/seasoning and continue to mix. * Place on cooking sheet with parchment paper and cook at 350F for about 20 minutes. (Flip halfway through). For an extra crunchy crust, leave in oven for additional 10 or so minutes. * Add sauce (tomato + pesto), cheese, and other pre-cooked ingredients and place back in oven for about 10 minutes or until cheese begins to melt. 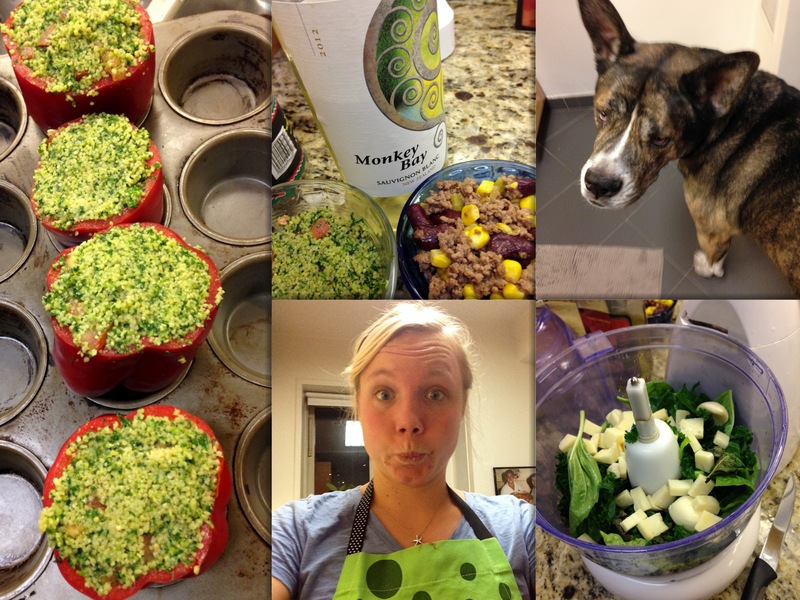 Overall the day was a culinary success and today is a new beginning!